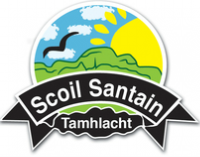 Aithnítear inár scoil gurb iad tuismitheoirí príomh oideachasóirí a bpáistí. Tá sé seo curtha chun cinn trí chomhpháirtíocht éifeachtach ina bhfuil meas, iontaobh, dea chaidreamh, maraon le fís comhroinnte, a thiocfaidh forbairt dá réir ar an leanbh. Our School recognises the parent as the primary educator of the child. This is promoted through effective partnership where there is trust, respect, good communication and a shared vision for the child to reach his/her full potential. - Internet connection may be accessed on home computers, laptops, Xboxes, Wii’s and mobile phones. - When children are on the web make sure it is in a public area of the house and under strict supervision. E.g. Kitchen, Living Room. - Be aware of everything your child is looking at on the web, and that your internet browser is safe for children. E.g. has a parental safety setting. - When children are on social network sites such as Facebook, Bebo, Moshi Monsters and Club Penguin it is important to keep an eye on what they writing and what others have written. For a free Family E-Safety Kit which includes family games and stickers and a guide to cyberbullying please contact Pól in the office.